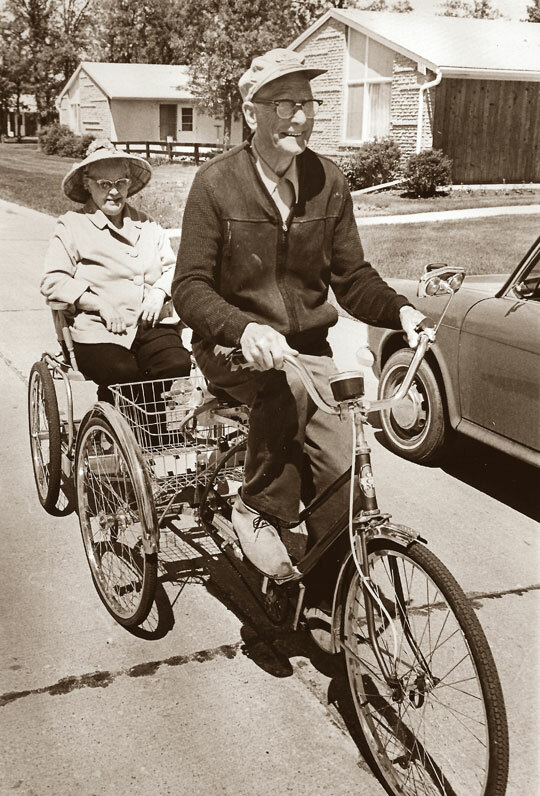 Since its inaugural meeting on November 16, 1944, the Kiwanis Club of St. James has supported a variety of community initiatives through numerous fundraising activities. While many of these initiatives have supported local children and children's organizations, the Club's largest single initiative has been the development and on-going support of St. James Kiwanis Village. 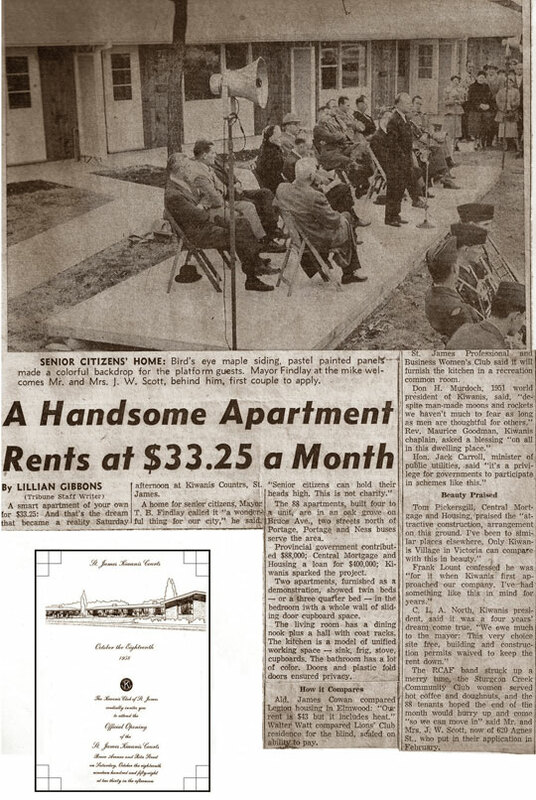 Planning for St. James Kiwanis Village began in 1956 when the City of St. James agreed to donate eight acres of vacant property to the Club for development of affordable seniors' housing. 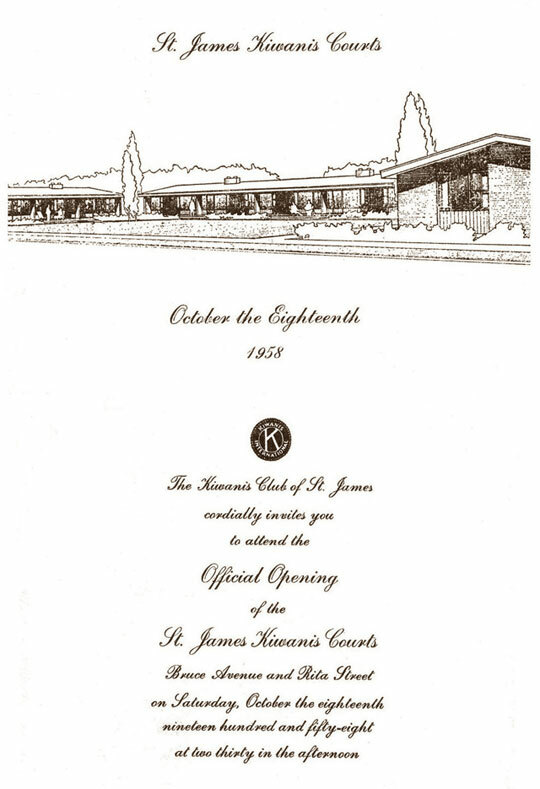 The Kiwanis Club of St. James proudly opened the Village's first project called St. James Kiwanis Courts in 1958. At that time, the Courts consisted of 88 attached bungalow units in 18 separate buildings. A community centre for residents of the Courts was added one year later. An expansion to the community centre and a second housing project called St. James Kiwanis Lodge were added in 1984. While the Courts served the housing needs of seniors for many years, the effects of time and changing needs and demands eventually led the Board of Directors to consider options for redevelopment. In 2004, the Board unveiled a master site redevelopment plan that called for a gradual replacement of the original 88 attached bungalow units with a series of apartment buildings. Implementation of the redevelopment plan began in 2005 with the demolition of 22 bungalow units and the development of a new 51 unit four storey apartment building called St. James Kiwanis Manor. Redevelopment continued with the demolition of 22 additional bungalow units in 2007 and construction of another 51 unit building called St. James Kiwanis Villa. Implementation is continuing through 2013 and 2014 with the demolition of the old community centre and construction of a new 52 unit four storey assisted living building. The new building, St. James Terrace, has replaced the old community centre by providing dining and social/recreational facilities for the entire Village. Courts East opened in 2017 with 48 unit 3 storey building, with a final phase planned for the future. The ultimate goal of redevelopment is to honour the Kiwanis Club of St. James' original vision by ensuring St. James Kiwanis Village continues to offer seniors affordable and suitable housing.